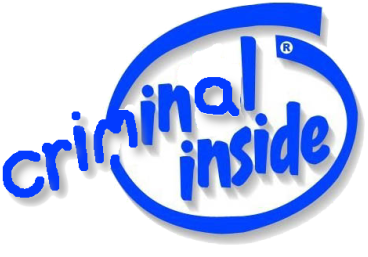 ONE THING THAT INTEL and Microsoft have in common is that both are committing crimes to gain and to protect their monopolies and when legal action is brought against them they just pay a bribe to have the evidence destroyed and for the legal cases to go away. Both Microsoft and Intel were found guilty in multiple continents and they had colluded for many years (recent example [1, 2]) as they rubbed each others’ back and forced smaller competitors out of the market. We have looked at the said submission and were appalled. There is also a very shameful lie there from David Simon (on behalf of Intel). He said that “Intel submits that if New Zealand chooses to provide restrictions on the patentability of software, those who will suffer the most include citizens of the country, and particularly those who develop software.” The very opposite is true, but don’t let facts gets in Intel’s way. Shame on Intel.